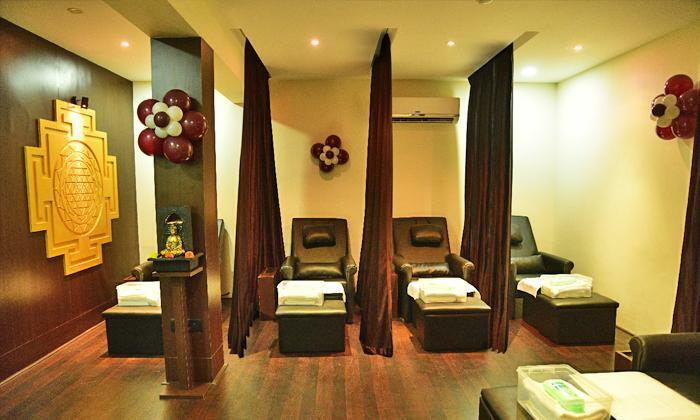 Foot Haven is an exclusive Foot Reflexology center which has its presence across the city. Foot Reflexology is the technique of applying gentle pressure to reflex areas on the feet to bring about a state of deep relaxation & to stimulate the body's own healing processes. It is a natural therapy that can also facilitate more vital energy, helps boosting the immune system and create a stronger body & calmer mind. It caters to a varied clientele, looking for a soothing stress buster, to individuals seeking relief from diabetes, numbness and Chronic pain, Painful feet, Hypertension, Blood Pressure and so on. Reflexology is highly beneficial during & after pregnancy.